Google is seemingly getting ready to announce two brand new Nexus smartphones during an event held on September 29 in San Francisco. As reported countless of times before, one of the new Nexus handsets is likely manufactured by LG (this would be the third LG-made Nexus phone to date), while Huawei appears to be in charge of making the other model. AndroidPit today posted a render that allegedly shows "the final design" of the new LG Nexus, which could be called Nexus 5X, or Nexus 5 (2015). This renders only shows the back of the upcoming Nexus, and isn't too different from previously leaked renders. We can see the old familiar Nexus logo next to a fingerprint scanner and a camera (this is supposed to be a 13 MP camera with laser auto focus and dual LED flash). It's said that, besides a white variant, the Nexus 5X / Nexus 5 (2015) should also be available in black and light blue. The handset is expected to feature a 5.2-inch Quad HD display, a six-core Snapdragon 808 processor, 3 GB of RAM, and - of course - Android 6.0 Marshmallow. Prices for the new LG-made Google Nexus 5 may start at $399. So, who's planning to buy one? Is this the final design of the Nexus 5 (2015)? People say that the Nexus devices are mostly targeted for developers....But how do the front stereo speakers benefit the developers? I don't like that, at all, this makes it look less attractive and adds bezel size. Why do you care about looks if you are a developer? You completely missed his point.. I'm not a developer, I just find the front stereo speakers a disadvantage because it makes the phone look uglier with bigger bezels. People barely use loudspeakers to play anything. My main point is that this feature has no benefit at all for the devs. So you are not a developer, but you are complaining about a device aimed at them? Right. Anyways, I can give you two reasons, first is, the nexus are Google's vision of Android devices, and not only in software, but in hardware also, hence USB Type C and fingerprint scanner, many people want front facing speakers, and apparently Google agrees. Not like it's the first Nexus with such. And for why developers would want stereo front facing speakers is pretty simple, apps have sounds, and sometimes you want to check if it's coming from the correct direction in a game for instance. When they say nexus devices are aimed at developers, they are referring to people that develop apps, not phone makers. Developers could care less about looks of a device, most companies have a bunch of devices in the office they test on, and as long as it's works it purpose it might just as well be a big brick. It's just a tool, not a fashion object. Why do you think the developers care about bezel size and "attractiveness" above features? I personally haven't developed anything that makes good use of front speakers, but most devs I know don't ever get to making things that make use of all the features. I do however use my front speakers often enough that I'd like my next phone to also have them and at least a few other devs I know also enjoy the difference. I think you'll find there are plenty of phones on the market that put priority on looks rather than features you could get. You're wrong. Maybe YOU don't like front facing speakers and don't use them but many people including myself want front facing speakers. So many people compliment my One M8 on how loud and clear it sounds and wish they had a phone as loud. Many people (the average consumer) watch YouTube and Vine/Instagram videos and show to friends. I could go on. Stop the bull. I want front facing stereo speakers. No phones was ever designed especific to target developers because they are a very very small part of the market , If companies relied on sales to developers alone none would be standing today. point is: nothing better to develope apps than the actual phones those apps are going to used by the consumers and consumers like variety to choose from. But you have to admit, the nexus design is waning year on year. I actually liked the nexus one design very much, the galaxy nexus is cool even today and the nexus 4 just bat it out of the park. Since then, it's been declining. NO REMOVABLE BATTERY - FAIL With that said, I will be buying the LG G4 PRO or a 2015 Nexus. No removable battery is a fail to YOU. Not everyone cares about removable batteries. You're right. Only those with a BRAIN that can THINK for themselves require a removable battery. Removable battery is a security issue. So people with a brain and can think for themselves want a removable battery. Then what about a memory card slot, you just going to let that slide? You know what that sounds like, your opinion. You sound ridiculous right now. Just because you prefer something, doesn't mean everyone else has to. Stop it. To each his own. Of the three things you insist on (fingerprint scanner, expandable storage and removable battery), for me the removable battery is one thing that is easier to live without. Sure it would be nice to upgrade the battery, But I haven't done that with a phone since I think the HTC Rezound. And I went back to the standard battery anyway. But as others have said, it's a personal preference. You prefer it. Most do not care. The sales figures for Samsung's GS6 and especially Apple's Iphones prove that most do not care. 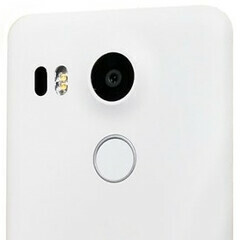 Sony Nexus Compact with 1080p screen and SD808 would have been perfect. If this is the actual design I'm satisfied. Looks good, the only thing I keep questioning is the QHD claims, I hope they are wrong and this phone will come with FHD screen. agree , I plan to buy one as long as it comes with a 1080p panel so fingers cross!